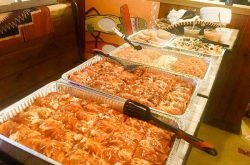 Polish Villa II has made a name for itself over the years with scrumptious Polish food, generous portions, and their 9-Plate score from the restaurant critic at The Buffalo News, Andrew Galarneau. 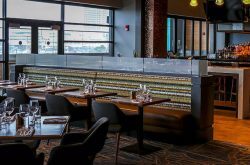 Likewise, I was quite pleased with the authenticity of the food and decor on a recent visit to the restaurant, so I was beyond excited when they debuted a food truck serving some of their classic polish recipes on the go. The Polish Villa II Food Truck can be found in Buffalo around lunch time once or twice a week and at various special events serving fresh or smoked Kielbasa sandwiches with kraut ($5), Gołąbki (aka stuffed cabbage rolls) with mash and sauce ($9), sweet and sour cabbage ($5), crispy potato pancakes with Applesauce and sour cream (2 for $5), kraut or potato pierogi (1 for $3), mashed potatoes with gravy ($3), lazy pierogi ($5), and a Polish platter which consists of 1 Gołąbki, 1 peirogi, mash and sauce, sweet and sour cabbage, and 1 fresh and 1 smoked Kielbasa all for $11. One bite of the Polish sausage revealed that it was juicy and full of flavor, just like at their restaurant. 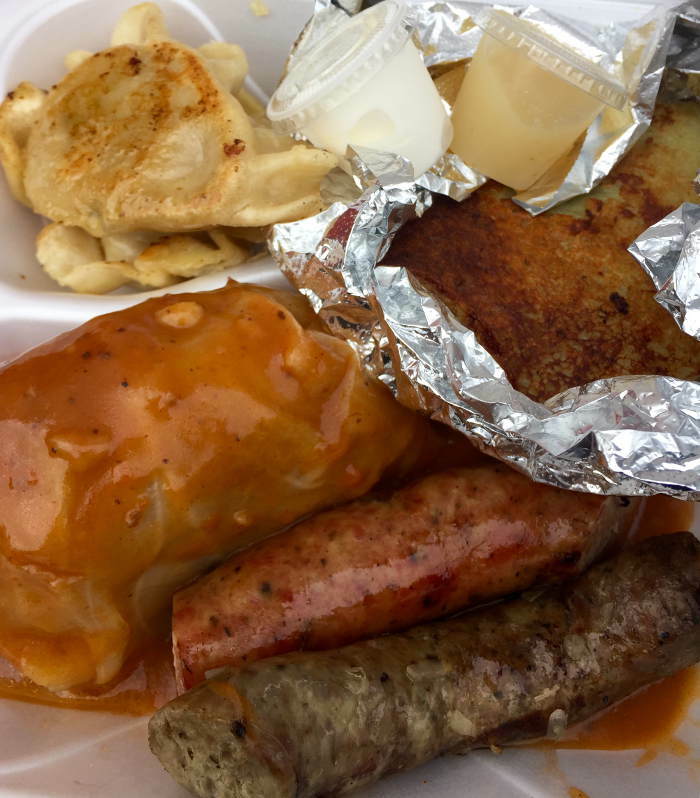 When we finally tracked down the truck, we couldn’t resist ordering a polish platter. Because duh. The kraut pierogi were doughy with a buttery char and topped with sour cream. The sharp flavor of the pickled, crunchy cabbage really makes for a good pierogi. I opted for 2 kraut pierogi because I’m not a big fan of potato. 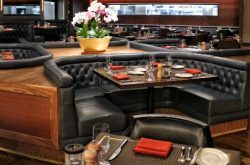 They let me swap the mash and sauce for 2 crispy potato pancakes with sweet applesauce and sour cream for dipping. The sweet and sour cabbage complimented the Kielbasa beautifully. All you need is a nice fork full of the cabbage and a hearty piece of the sausage for a delicious bite. The stuffed cabbage was a generous size and there was just enough of everything. There were plenty of cooked cabbage leaves wrapped around the outside to compliment the tender meat, spice, and vegetable blend inside. I felt like a lazy pierogi after all of that delicious food. I was stuffed and I had plenty for about 2 more meals! 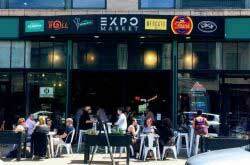 I’m excited to see where they pop up next. 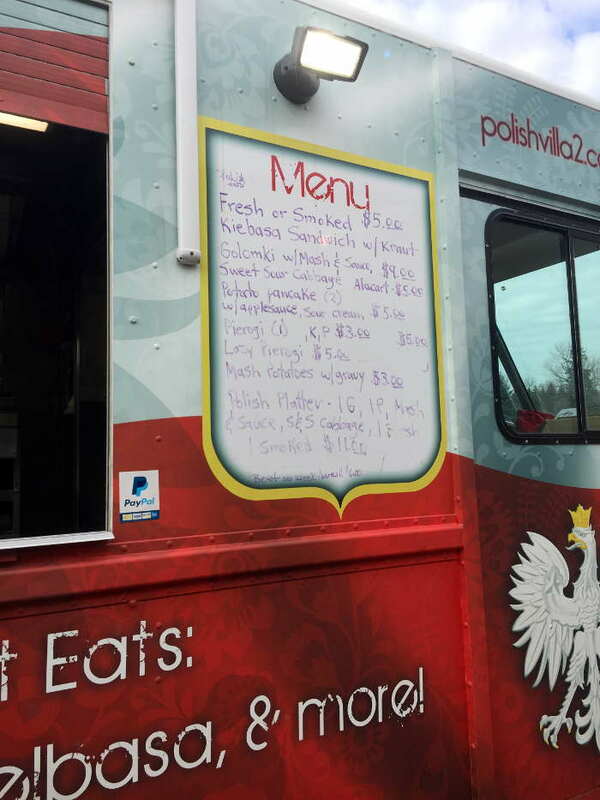 With Betty Crockski sadly out of the game (for now or forever, we don’t know), we’re glad to see someone filling the polish food truck gap, even if it is in a more traditional way. RIP Betty. Welcome Polish Villa II. 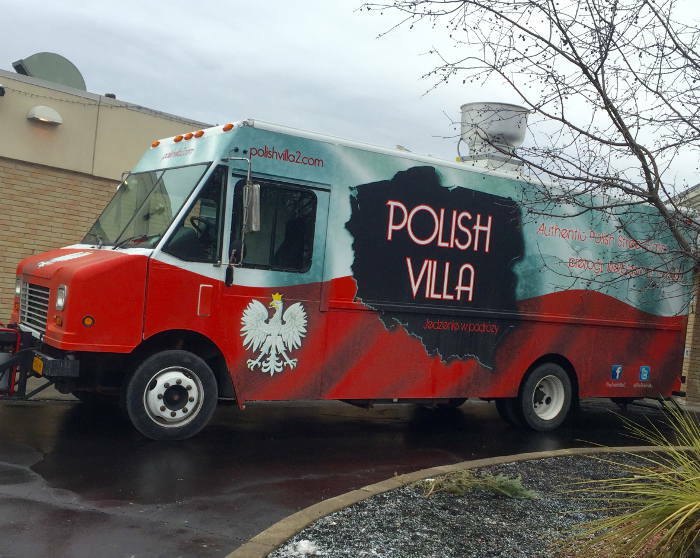 Look for Polish Villa II Food Truck at the Central Terminal on Dyngus Day this year (Monday, March 28th 2016)!